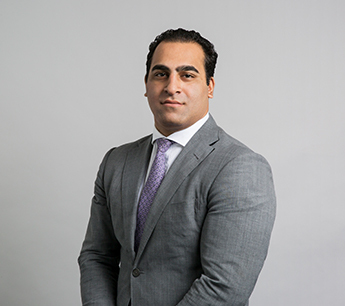 Ravi Idnani is a Director with RKF, specializing in both tenant and landlord representation throughout Manhattan and the boroughs. Ravi has arranged over one hundred retail leases for local, regional and international brands throughout New York City and surrounding regions. His recent deals include placing Ivivva Athletica, a Lululemon athletic wear affiliate in its first Manhattan location on the Upper West Side; the Plaza Hotel’s Olma Caviar retail outlet in its second location; a 10,000-SF Korean barbecue restaurant in SoHo, The Woo, at 206 Spring Street; Wendy Nichol Jewelry in NoLita; and H.P. France, an international fashion store, in the West Village. Ravi has also helped relocate established businesses such as world-renowned French chocolatier Michel Cluizel to a corner space on Madison Avenue in Midtown; furniture gallerist Todd Merrill Studio to Tribeca; and Jack Monkey Catering from the Chelsea Market to a 5,000-SF facility in the Financial District. In addition, he arranged a lease for Weekday Wines in Turnstyle at Columbus Circle, an underground urban market in the Columbus Circle subway station. Most recently, Ravi secured space for YokeyPokey, a virtual reality interactive experience, in Boerum Hill, Brooklyn. Ravi has secured a number of deals for health and wellness food concepts and fitness tenants. He arranged leases for Copper Branch’s first U.S. location in the Village; Baked in Tribeca; and Mulberry & Vine’s Midtown East location. In addition, he recently completed deals with fitness brands such as LifeSpan Pilates at 37 West 46th Street, SoHo Strength Lab at 39 Spring Street, Club Pilates at 47 Murray Street, F45 Fitness in NoMad and Lyons Den Power Yoga in Tribeca. He also represented the Michelin-starred Indian restaurant group, Badshah, securing space for them on Ninth Avenue in Hell’s Kitchen as well as Satori Laser, for whom he arranged leases in Midtown, the East Side and Philadelphia locations. Ravi has arranged multiple leases for schools and non-profits including for All My Children Day Care & Nursery School on the Lower East Side and Upper West Side; an 11,000-SF lease for the Upper Valley Daycare and Preschool on the Upper West Side; multiple locations for Kiddie Academy including a 10,000-SF community space in Williamsburg; a lease for the Mandarin Seeds Center, a pre-school and learning center in Tribeca; and multiple leases for Reade Street Prep in Tribeca and Elements Preschool on the Lower East Side. He has also helped three learning centers, Booknook, Ibid Prep and UWS Speech, launch by arranging leases for them on the Upper West Side. Ravi is currently working with a number of landlords looking to fill their available spaces with community-user tenants. Ravi graduated from Pace University with a degree in Business Administration and a concentration in Marketing Management. He is a licensed Real Estate Salesperson in the state of New York and is a member of the Real Estate Board of New York, the International Council of Shopping Centers and MAPIC.